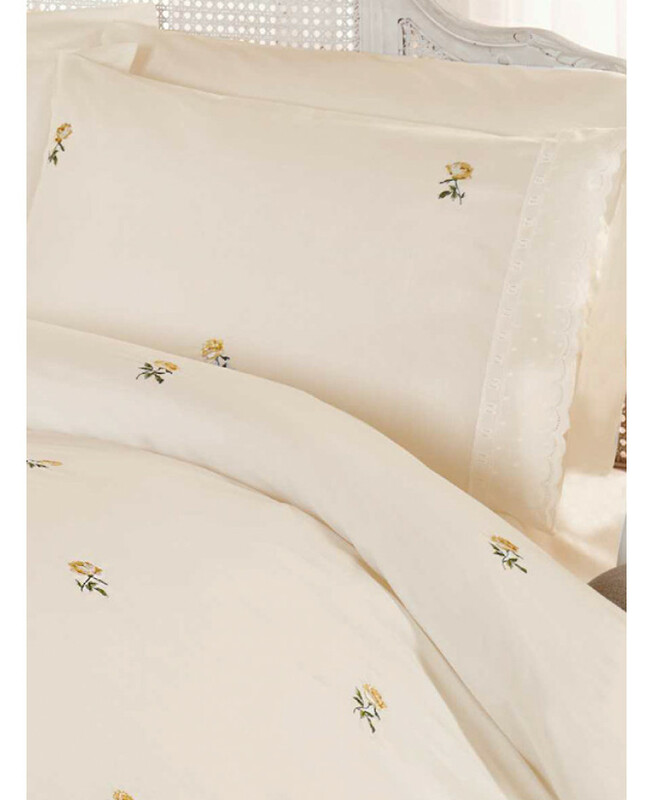 This pretty Alicia floral cream single duvet cover and pillowcase set features an embroidered floral detailing in tones of yellow and green on a cream background, finished off with a embroidered embellishment around the edges of the duvet cover. 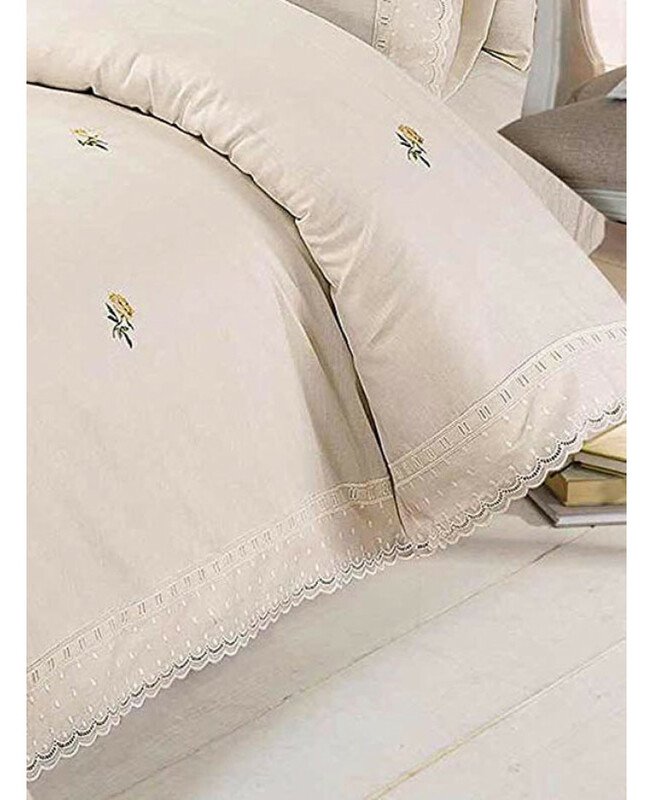 This bedding set is made from a soft polycotton blend and can be machine washed and tumble dried on a low setting. More colours and sizes are also available.